Saving money with coupons is a growing trend in the United States. Modern technology has changed the way consumers can find valuable coupons. Taking full advantage of all of the places you can find coupons is going to be the fastest way to be a successful extreme couponer. The most obvious place to locate coupons is in your local Sunday paper. This is almost always filled with great manufacturer coupons and store offers. The only time that you are not able to find these coupons is during some of the holiday weekends. 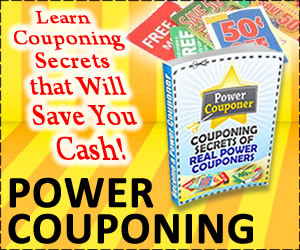 To save some time in searching for the coupons you can sign up at the coupon vendor such as SmartSource. Not only can you get updates on what the papers will have in them for coupons that coming weekend but you will get the heads up when there will be no circular that weekend. The fastest way to get great coupons is by signing up to some of the free online coupon services such as coupons.com. These are a great resource for manufacturer coupons that can be printed and used just like regular coupons. You can even set these up so that you narrow down the location of your stores giving you the maximum savings for your area. 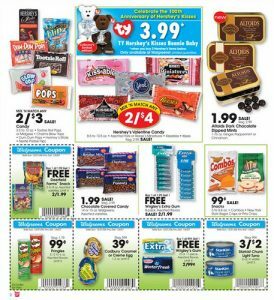 These printable coupons can also be collected from the individual stores such as Target where you can print store specific coupons. Keep in mind that some of them have a printing limit on their coupons and when you try to print from one computer more than the allotted time you will be told you can not print again for that set. Many stores offer a customer membership card that offers special coupons online to only those customers. Thanks to technology you can select the coupons you want and do not even need to print them. Instead they are put on your store membership card and when you go to the cash register you simply scan the card to receive the discounts. Many of these are also tied into Upromise.com which is a college savings fund that deposits a percentage of the price of the item you are purchasing into an account for your use later. These funds can be used for college or cashed out. Those affiliated with Upromise.com have additional savings coupons that will be placed on your store card once you have signed up for your free Upromise.com account. For those interested in taking advantage of all of the coupon savings as possible, purchasing coupons in bulk from a coupon clipping service or eBay is the way to go. You can pick the specific coupons and pay a small amount of money to have them sent to you right away. If you don’t think that you can afford to purchase coupons you can still get great coupons with the help of your friends and neighbors. Contact everyone you know and ask them to save their circulars for you. Most businesses that keep a Sunday paper on hand, such as the barber, coffee shops and real estate agencies would be happy to set aside the circular for you to pick up. You can also put up a listing on a free classified for anyone willing to part with them.